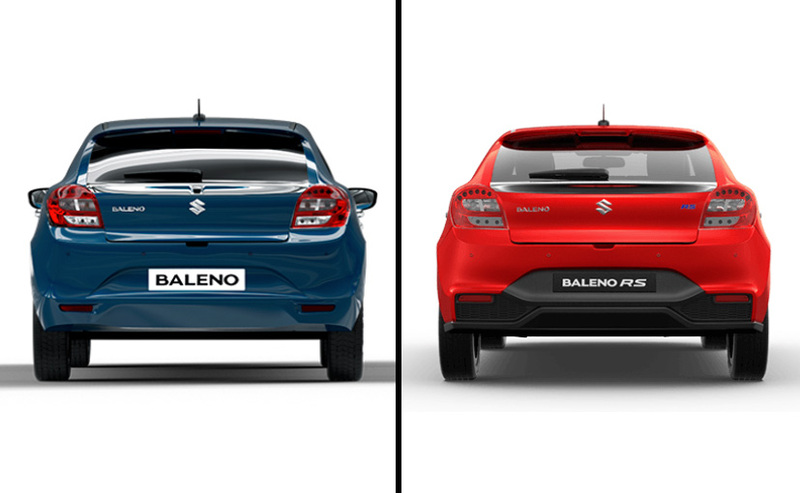 Maruti Suzuki Baleno is available in 11 variants in India. The Baleno on road price of the base version (1.2 Sigma) of the car will be Rs. 6.53 lakhs (approximately – varies from state to state). 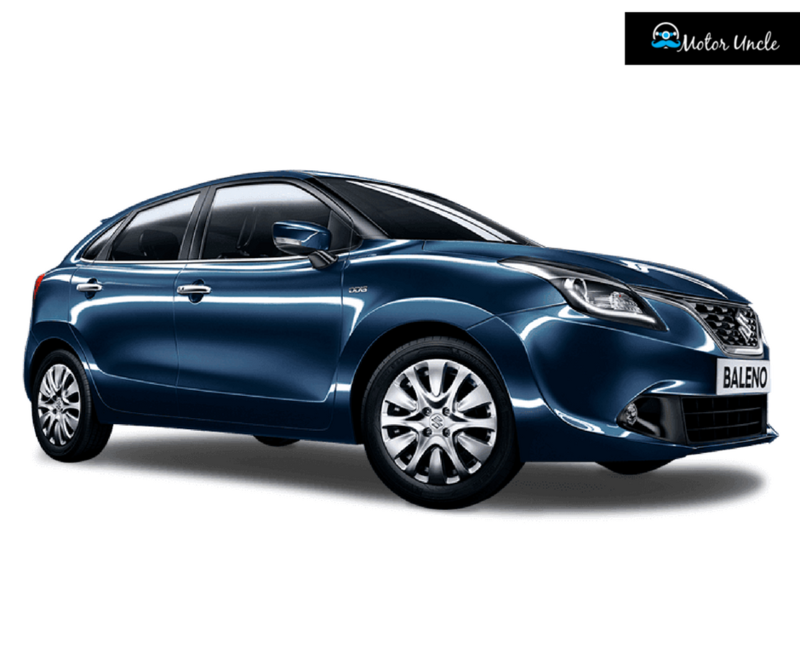 The 1.2 Sigma is the lowest priced version in Baleno. The 1.3 Alpha is the top priced version available at Rs. 10.38 lakhs (approximately – varies from state to state). The vehicle is available in diesel as well as petrol versions. The car can accommodate 5 persons very easily. The car is available for bookings at the Nexa showrooms. The car is light in weight and it is affordable. The hatchback car comes under the ‘B’ segment and it has an engine displacement of 1197mm. 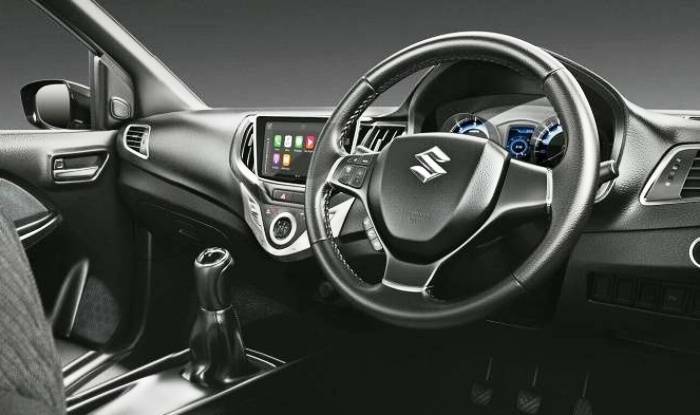 The petrol-type car has a manual transmission and it has 5 gears. The peak power developed by the 1.2-liter petrol engine is 83 BHP at a maximum of 6000 rpm. The peak torque developed by the engine is 115 Nm at a maximum of 4000 rpm. The key features present in the Baleno are an air conditioner, power steering, central locking, power windows and steering adjustment. The car has steel wheels with center caps. For safety enhancement, it is fitted with R15 tubeless tires. The front wheels are controlled by disc brakes and the back wheels are controlled by drum brakes. The car facilitates long rides as it is fitted with a large-sized tank of 37 liters. The length of the vehicle is 3995 mm. The width and height of the vehicle are 1745 mm and 1510 mm. The ground clearance delivered by the vehicle is 170 mm. The wheelbase is 2520 mm. You can take advantage of 339 liters of boot space. The turning radius of the vehicle is 4.9 m.
The car is fitted with McPherson Strut front suspension and Torsion Beam back suspension. The mileage delivered by the petrol engine will be around 21.4 kmpl and it will be 27.39 kmpl as per the ARAI standards. The mileage delivered by the 1.2-liter petrol vehicle on city roads will be 19 kmpl. On highways, the vehicle can deliver 21 kmpl. The safety features presented on the vehicle include ABS (Anti-Lock Braking System) and airbags. The high-end versions come with fog lamps, auto head-lights, rear parking sensors and pinch guard power windows. The driver will exercise better control on the vehicle. The drivability is very much enhanced with seat belt warning alarm in the instrumentation panel. The other alerts include low fuel warning and door ajar warning. The comfort and convenience are enhanced with the presence of air conditioner/heater, electric steering adjustment, upholstery and front cup holders. Maruti Suzuki entered the hatchback segment with the introduction of Swift in 2005. To compete with Hyundai i10 and Jazz, Maruti Suzuki Baleno has been launched. The vehicle is big in size and comes with best exteriors. The smart play infotainment system and automatic AC system will enhance the comfort level of passengers. The 1.2-liter K-Series petrol powered vehicles deliver the best performance. Most of the versions come with the 5-gear manual transmission system. The automatic transmission system is available with the Delta petrol model.